Details are scarce, but CRN has a 203-footer (62-meter) joining the ranks of its new-build projects list. 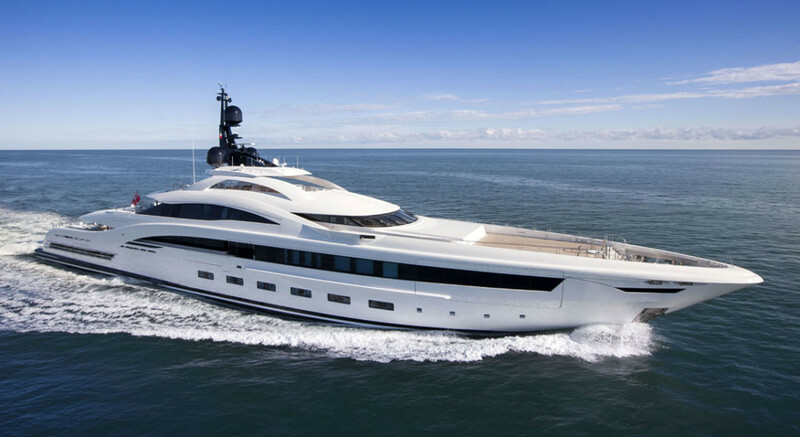 Known for now simply as CRN 138, which is her hull number, she features styling by Omega Architects. When we say details are scarce, we do indeed mean scarce. The Italian shipyard will only say that CRN 138 will reflect the Dutch design studio’s distinctive sporty lines. It hasn’t revealed a profile drawing to put them into further perspective. But, since Omega Architects has contributed to a number of megayachts over the years, looking at any of them should give you a good idea of the sleek looks to come from this collaboration. A prime example: the 239’5” (73-meter) Yalla (above). Not coincidentally, she resulted from the joint efforts of CRN and Omega Architects. Launch took place in 2014. Like her, CRN 138 is an entirely custom project. Besides not having the exact exterior looks of this new yacht, there’s no information on the general arrangement. Neither are there details on the interior decor, though CRN 138 will feature the design work here by Italy-based Pulina DNA. The design firm primarily works on private homes, hotels, and luxury yachts. In fact, for the latter, Pulina DNA has worked on a sizable number of semi-custom launches from Azimut and Benetti. While we await further details about CRN 138, the builder should soon have images of another new build. She’s a 50M Superconero, a 164-footer set for launch next month. “Superconero,” by the way, is the same name of CRN’s first large-yacht series, from the late 1970s. The LOA back then was 75’5” (23 meters), seemingly small today but certainly significant for the time. Further in build currently at the shipyard: CRN 135, its second-largest megayacht to date, measuring 259 feet (79 meters), as well as CRN 137, a 203-footer (62-meter) coming in 2019.